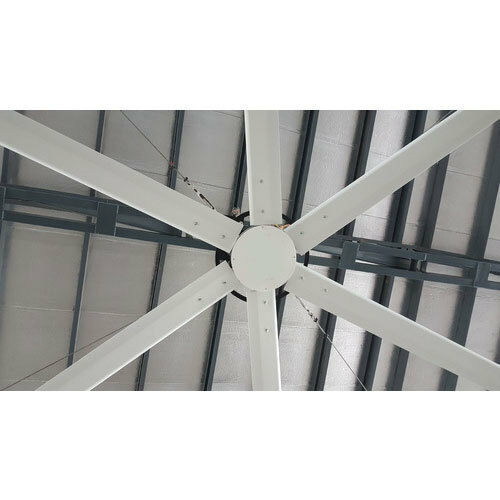 In order to keep pace with the never-ending demands of customers, we are involved in offering a wide range of HVLS Cooling Fan. A quality is driven organization Humidifier Company was established in the year 1994 to cater to various requirements of diverse industries. We are efficiently engaged in the manufacturing export and supply of traveling cleaners for spinning, simplex, weaving, winding and drawing machines that are highly applicable in garment industries, our product range includes Ultrasonic Humidifiers, Industrial Humidifiers, Spot Humidifiers, Tea Fermentation Humidifiers, Steam Humidifiers, Cold Storage Humidifiers, Textile Cleaners, Fabric Furniture Cleaners, Spinning Traveling Cleaners, Industrial Atomizers, Coffee Curing Humidifiers, Oscillation Humidifiers, Textile Humidifiers, Industrial Textile Humidifiers, Comber Textile Humidifiers etc. The CEO of the company, Mr K. Shiva who is a competent professional, efficiently operates the company with his able guidance and years of experience. We also provide HVLS Fan Maintenance Service and more. At S K B Systems, we relentlessly endeavour for customer satisfaction through the production of eminent products backed by our committed team of engineers. We continuously add value to the existing level of products and services by maintaining optimum flexibility in responding to the changing needs of the industry. We make optimum use of our infrastructure to manufacture unmatched quality products and we are always eager to improve quality of our product range. We follow comprehensive quality control measures in all our manufacturing processes and activities. We have established a satisfying & trustworthy relationship with our clients by offering them quality products of international standard.